These were really good, and I am definitely going to make them again! I actually experimented with tuna as well. If you want to use tuna, add about 1-2 tsp of lime juice to the food processor so they will form patties. 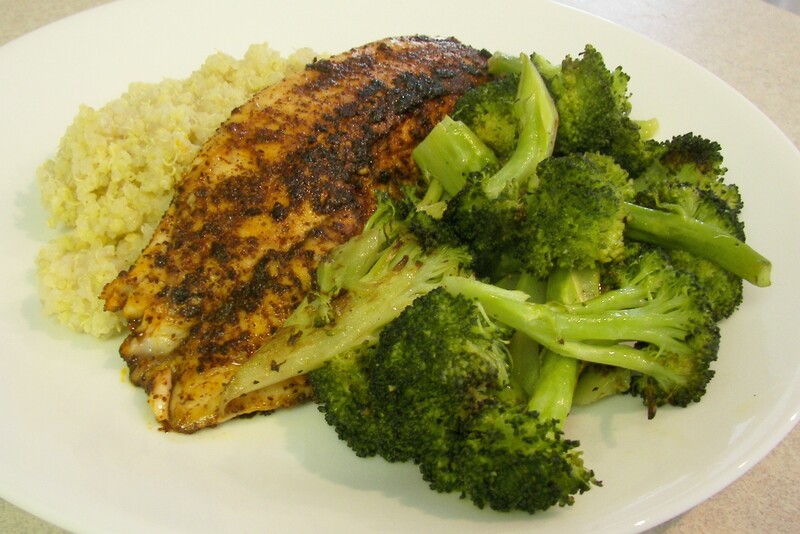 This recipe is adapted from The Whole Life Nutrition Kitchen. Place the green onions, cilantro, adobo, lime zest, and black pepper into the food processor and process until smooth. Add the salmon and quinoa until fairly smooth, taste for salt. Form into patties. In a medium to large skillet heat about a tablespoon of oil over medium high heat. Cooks patties until nice and crispy on each side (about 3 minutes per side). Don’t crowd the pan! 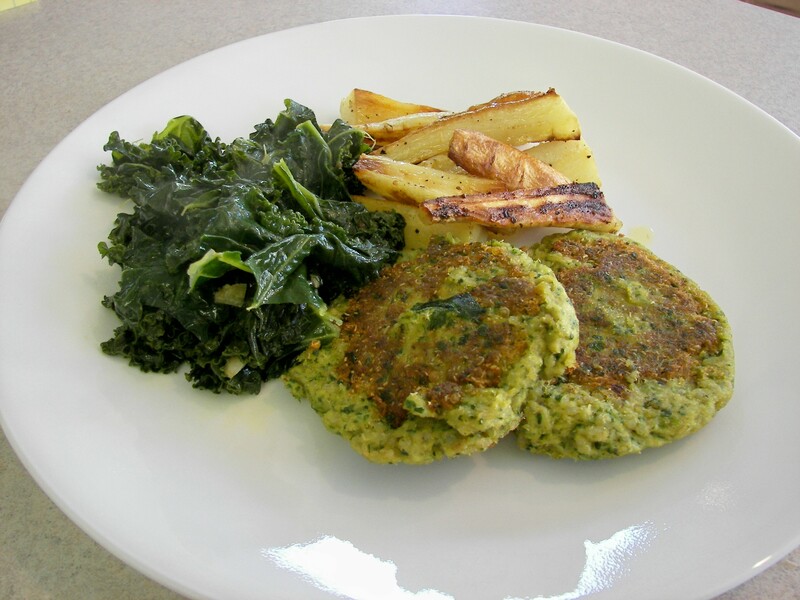 I served these with sautéed kale and roasted parsnips, YUM! If you’ve never had roasted parsnips you really have to try them. It’s very simple and so tasty. A little olive oil, salt and pepper, about 15 minutes at 400F, until crispy and caramalized. I love hummus! So creamy and yummy. I love it drizzled with olive oil and sprinkled with smoked paprika! 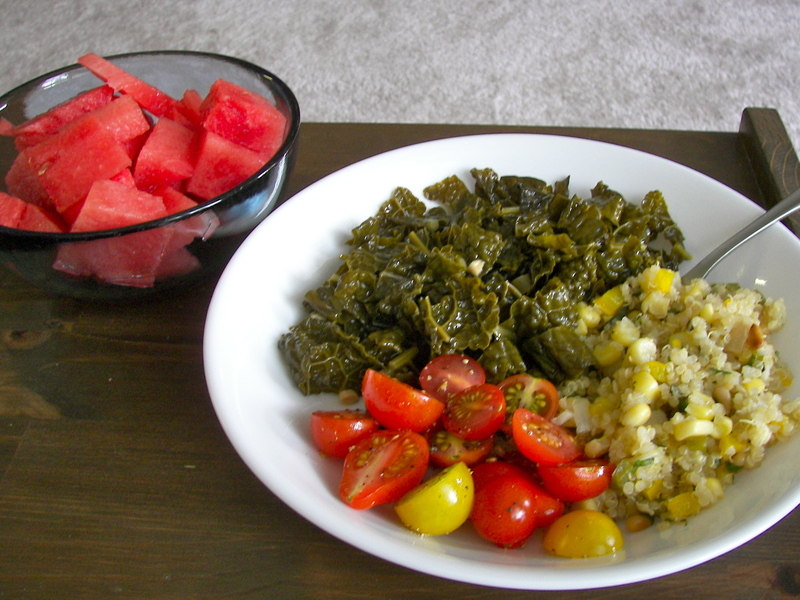 It is a perfect match with the quinoa tabbouleh. 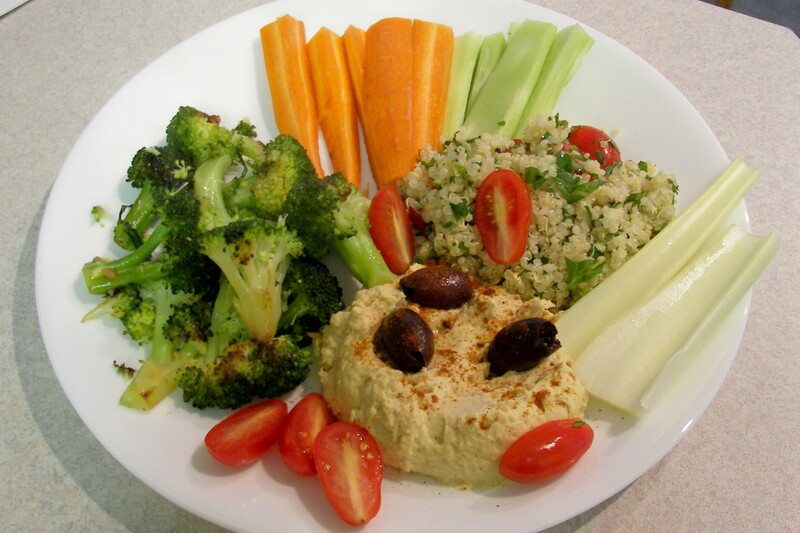 These recipes are adapted from The Whole Foods Market Cookbook, and The Mediterranean Diet Cookbook. Toss everything into the food processor and blend until smooth and creamy! Yum! Place quinoa, water, and salt in saucepan and bring to a boil. Cover, reduce heat and simmer until tender and all the water is absorbed, about 20 minutes. Fluff with a fork and let cool slightly. In a large bowl mix the rest of the ingredients, then stir in the quinoa. Very simple. I typically serve this dish with lots of veggies.